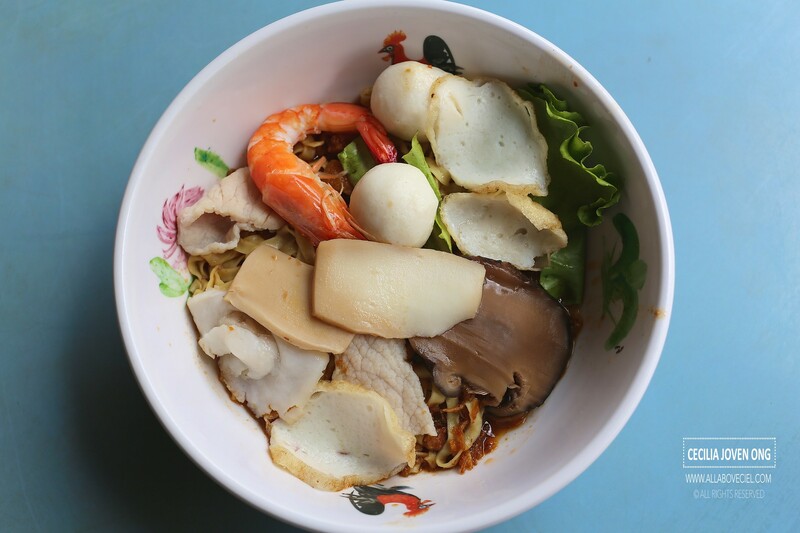 This has to be the most talked about noodle stall in Ang Mo Kio, it has been around for decades. 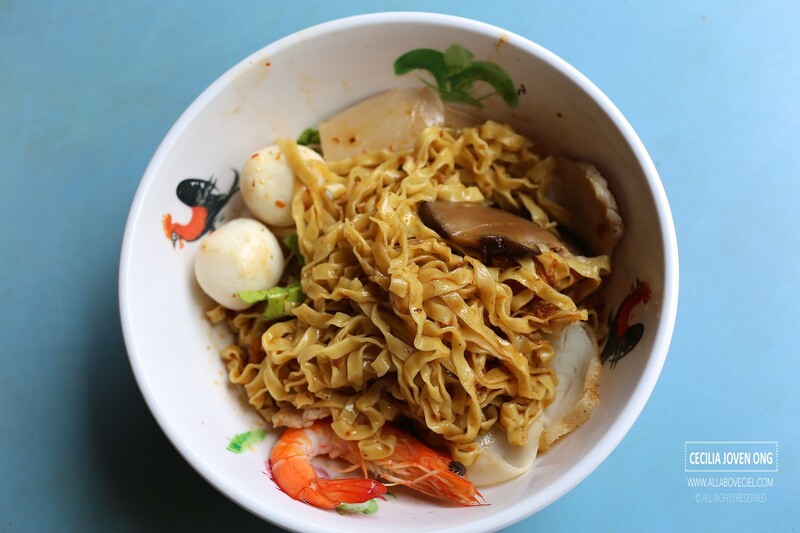 My dearest Grandpa used to bring me there for breakfast from sharing a bowl of noodles till i was old enough to finish the whole bowl by myself. He stopped bringing me there when age caught up with him till he was no longer strong enough to enjoy the 15 minutes walk from his house to this food centre. I still went there to take away for him though. 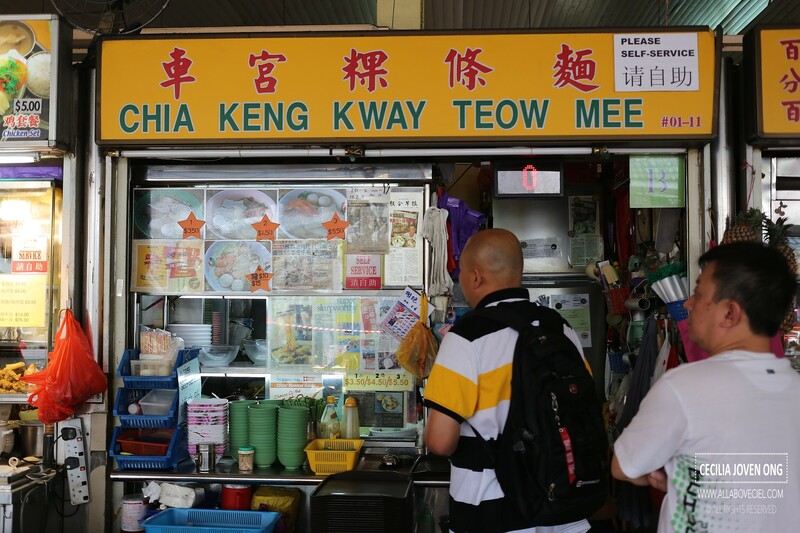 My Great Grandfather used to be selling noodles at Chia Keng and so, Grandpa got to know the stall owner of this supposedly famous noodle stall. It was closed for a while when the owner took quite a long break as he was not feeling good then. 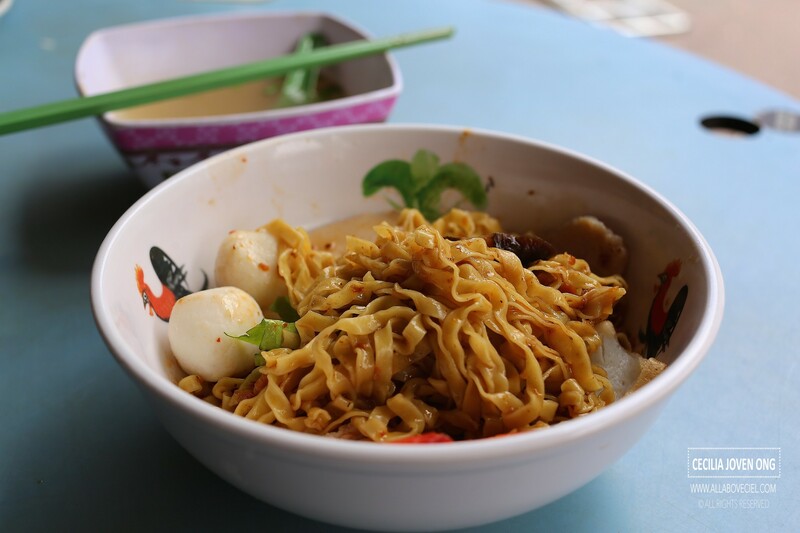 When it re-opened again, the wife of the stall owner took over the stall even though it was reported by the media that the daughter was the one. There are 3 prices now: $3.50, $4.50 and $5.50 with different types of ingredients added. You will get to enjoy all of those ingredients when you only the $5.50 portion. They was about to close when i got there near 2.00 pm with the light of the signboard already off. The auntie was still there, she was kind enough to allow me to order in the midst of her cleaning up. I decided to go with the $5.50. While she was cooking, i managed to strike a little conversation with her. I said, 'I remember this stall used to be manned by an elderly Uncle with his son.' The auntie pointed to a table not too far from the stall, saying, 'That elderly Uncle is still there.' I then asked, 'How are you related to that elderly Uncle? Are you the daughter reported in that newspaper cutting." She replied, "What do you think?' She did not answer the question though. I only found out later that she is the wife of that elderly Uncle much later. She definitely did not look her age and that is why i did not manage to guess it. I collected my bowl of noodles with along with a small bowl of soup. There were another 2 customers at the stall, wanted to order at that time. My first mouthful was quite a let down. Somehow, it just did not taste the same. The vinegar taste was rather overpowering likely to be the reason of added in too much vinegar. As a result, it changed the entire taste of the noodle as it tasted too sourish. Their chilli used to be the star but it tasted a bit disappointing too with the missing of the aromatic fragrance and just a mild level of spiciness, a bit too oily too. The texture of noodles was just right though. I hope the difference in taste is only during this transition period as the wife took over the stall for just not too long. I do hope to taste the familiarity when i visit again.